The Mining Association of Canada (MAC) has released a revised edition of its internationally-recognized A Guide to the Management of Tailings Facilities. The third edition includes significant updates, which were informed by recommendations from leading experts in the field. 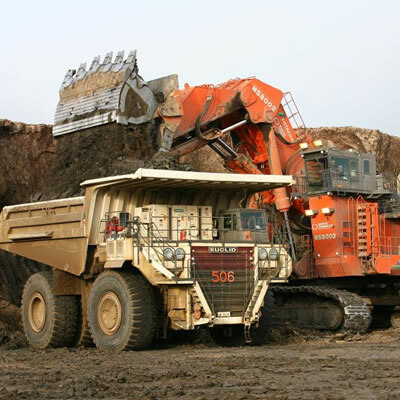 For more than two decades, MAC has played a leading role on tailings management. In 1998, MAC released the first edition of the Tailings Guide, which was one of the industry’s first and most comprehensive management guides on tailings. Tailings management is also a core focus of MAC’s sustainability standard, Towards Sustainable Mining® (TSM®), which was launched in 2004. Canadian tailings management guidance is recognized as globally leading. For example, the BC Government-appointed Independent Expert Panel that examined the 2014 tailings incident at the Mount Polley Mine in British Columbia recommended that any mining operation proposing to operate a tailings facility in BC should either be required to be a member of MAC—ensuring adherence to TSM—or be obliged to commit to an equivalent program with an audit function. A 2016 report by Golder Associates, commissioned by the International Council on Mining and Metals following the tailings failure at the Samarco mine in Brazil, noted that the Canadian guidelines produced by MAC and the Canadian Dam Association, taken together, were the most comprehensive of the national frameworks examined, while also noting potential improvements. Notwithstanding such recognition of Canadian guidance, MAC proactively reviewed its tailings management components to ensure they continued to contain leading practices. Following the tailings incident at Mount Polley, MAC struck an Independent Task Force to undertake an external review, which ultimately made 29 recommendations to strengthen MAC’s tailings management guidance and requirements under TSM—all of which are being systematically incorporated. A parallel internal review, spearheaded by tailings experts within MAC’s membership, was also conducted. This identified further opportunities, including those identified in the 2016 Golder report, to strengthen MAC’s tailings management components. Both reviews confirmed the strength of the existing Tailings Guide, but identified opportunities to further enhance the guidance, and incorporate proven and emerging best practices for tailings management. The third edition of the Tailings Guide is another step in the continual improvement process for tailings management, moving towards the goal of minimizing harm: zero catastrophic failures of tailings facilities, and no significant adverse effects on the environment and human health. It contains new technical components, including those critical to the physical and chemical stability of tailings facilities. It also strengthens key management components throughout the tailings facility’s life cycle, such as change management, critical controls for risk management, and performance evaluation. MAC released the new Tailings Guide at the Tailings and Mine Waste 2017 Conference in Banff, Alberta—an annual event attended by tailings practitioners and experts. To download a copy of the Tailings Guide (third edition), visit www.mining.ca/tailings-management. “The new Tailings Guide is a key way that MAC and its members are working towards the goal of zero catastrophic failures of tailings facilities. This guide contains best practices in the safe operation, management and closure of tailings facilities, and can be applied by MAC members and non-members alike, anywhere in the world. We owe a debt of gratitude to the members of the Independent Task Force and MAC’s Tailings Working Group whose skill, dedication and enthusiasm resulted in significant improvements to our guide,” stated Pierre Gratton, President and CEO, MAC. “The third edition of the guide represents a significant advance in incorporating recommendations made by the Mount Polley Expert Panel in the practice of tailings design, management and governance. MAC has raised the bar for tailings management for its members and I believe that its tailings guides will be widely applied as the international mining industry works towards improving their practices worldwide,” stated Dirk Van Zyl, Professor of Mining Engineering, University of British Columbia; member of the Mount Polley Expert Panel; and special advisor to the MAC-appointed Independent Tailings Review Task Force. “The improvements made to the Tailings Guide build upon what we had already perceived as strong guidance within MAC’s TSM program when the Mount Polley Expert Panel I was a part of examined it as part of its work. For example, the new guide contains several important advances, including consideration of Best Available Technology and Best Available/Applicable Practices, and recognition of the need to broadly consult with Communities of Interest,” stated Professor Emeritus Norbert Morgenstern, and Chair of the Mount Polley Expert Panel.